There are no longer any AirPort products available for purchase from the online store or Apple retail locations, with the exception of some refurbished AirPort devices that may continue to be available on the refurbished site. Apple had not updated its AirPort products since 2012 (Express) and 2013 (Extreme and Time Capsule), and rumors in 2016, which ultimately turned out to be correct, suggested Apple had stopped development on the product with AirPort engineers reassigned to other devices. In lieu of its own line of AirPort products, Apple is now offering third-party routers like the Linksys Velop mesh Wi-Fi system. 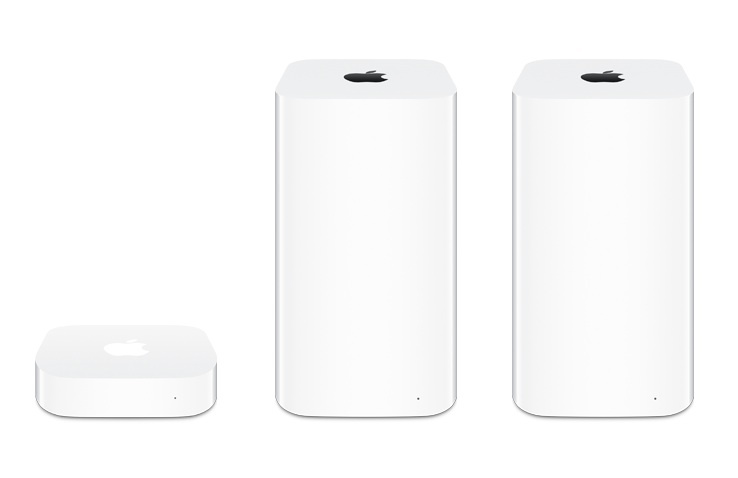 Apple's AirPort base stations provided some unique benefits that are not available through third-party options like built-in Time Machine backup support in the Time Capsule and AirPlay functionality for the AirPort Express. Though the AirPort devices have been discontinued, Apple plans to provide service and parts for the current generation models for the next five years. What, if anything, does Apple officially recommend people to buy instead? It's like watching Infinity Wars all over again. "I don't feel so good, Mr. Cook…"
I will miss you my friend. I bought up a few on eBay to keep my house going for a while. Years I hope. Sure there are other options but I have had no issues at all with mine so I keep them going. Apple back in April ended development on its AirPort line of products, which includes the $99 AirPort Express ('https://www.apple.com/shop/product/MC414LL/A/airport-express'), the $199 AirPort Extreme ('https://www.apple.com/shop/product/ME918LL/A/airport-extreme'), and the $299 AirPort Time Capsule ('https://www.apple.com/shop/product/ME182LL/A/airport-time-capsule-3tb'). Why are they ending this popular product? Don't Apple enjoy making money? A huge failure on behalf of the modern router companies whose devices are indeed better than Apple's own, is that their designs still aren't simple and elegant. All feature rows of obnoxious LEDs and LCDs. None have come to realize Apple's one, small indicator light is all that's needed. Super sad. I bought Google WiFi to replace my Airport setup and was really disappointed in the speed and stability. I bought Google Mesh available and it makes me grin all the time. Blows my mind how good it is. After messing with POS WiFi since 1999 (not a typo), for the first time ever I'm experiencing PERFECT WiFi.